History matters. Sober and sophisticated historical research can make a difference in the world. I am proud to live in a nation that now, per the Obergefell v. Hodges decision, recognizes the rights of gay and lesbian Americans to marry their chosen partners. And I am proud to be a member of the historical profession, which provided key evidence and interpretive analysis to the Court. As a historian, I naturally love documents. When I saw news of the decision on the front pages of the New York Times, I immediately clicked through to the text of the decision, and began reading. There, articulated by the Supreme Court of the United States, was a top-notch narrative of the social and legal history of marriage since the colonial era. And there, right in the text of this history-making decision, were the names of academic historians I admire: Nancy Cott, Stephanie Coontz, Hendrik Hartog. The decision cited Nancy Cott’s book, Public Vows: A History of Marriage and the Nation, multiple times. Less visible, but no less important, were the amicus briefs on the history of marriage and the history of discrimination against gay men and lesbians, prepared by panels of historians from the American Historical Association and the Organization of American Historians. As Notches blog noted, the amicus briefs read like syllabi from the classes many of us teach. We are pleased to welcome every student who walks through the door of our classrooms, subscribes to our blogs, or reads our books and articles. How thrilling to have the members of the Supreme Court and their clerks among our students this semester! This is not a simple story, though, of jurists finally asking the right questions, and coming to drink from the fount of knowledge and wisdom eternally flowing at the center of the academy’s ivory tower. In fact, the activism and scholarship that made gay marriage possible grew up together. They emerged from the same set of social movements that insisted that the personal is political, and that all lives matter: movements that blossomed in the 1960s and 1970s for civil rights, women’s rights, gay rights, disability rights, the rights of the poor and disenfranchised. 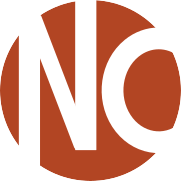 The historical scholarly works cited by the Court and listed in the amicus briefs were all published after 1975. It took until then to be able to ask the right historical questions (and to be paid an academic’s salary to answer them). When I first read historian Laurel Thatcher Ulrich’s Well-behaved Women Seldom Make History (2007), I suddenly understood that my graduate mentors were, in fact, the founders of the field of women’s history. I was so moved, I cried. I had taken my sense of security, of having a field, a check-box, a respected “area of study” and a set of job prospects, for granted. I was only a generation removed from scholars who had to push and insist and resist humiliation. I guess there were occasional moments when I had an inkling. As a grad student on my way to my second American Association for the History of Medicine meeting, I shared a cab with another attendee. “What do you research?” the crusty old doc asked. “Women’s and their partners’ experiences of menstruation.” He glared at me. “That is NOT INTERESTING!” “Whatever,” I thought. “My committee likes it. Harvard is happy to give me a Ph.D. for it. This guy doesn’t have control over any history jobs.” I could blow it off because I already had robust institutional support for what I was doing. The social movements of the 1960s and 1970s made it possible, thinkable, and practical to ask new questions in American history. In addition to personal passion and commitment on the part of an individual scholar, it takes substantial intellectual and material support to produce accurate, nuanced, and insightful history. I am proud to be part of the scholarly community that produced the new knowledge so central to the Obergefell v. Hodges decision. I am thankful to the social activists who insisted that all of our histories deserve proper attention from the academy. I am glad that together we can make the world a more livable place. 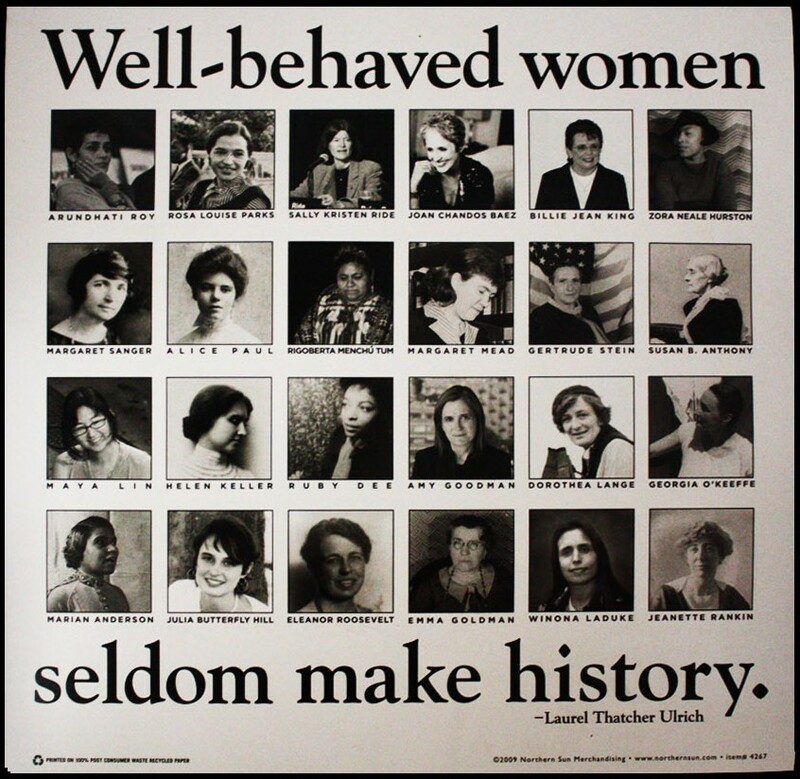 Laurel Ulrich, Well-Behaved Women Seldom Make History (Knopf, 2007). Sources cited in AHA and OAH amicus briefs, listed in full on Notches blog. Laurel Ulrich, Well-Behaved Women Seldom Make History (Knopf, 2007), p. 211. Return to text. I wholly agree. History scholarship and activism are too often treated as incompatible. Paul Longmore‘s “Why I Burned My Book” essay is a really powerful articulation of this — and why it’s so important to reject the separation. If historians don’t speak up, then we leave space for inaccurate uses of the past.